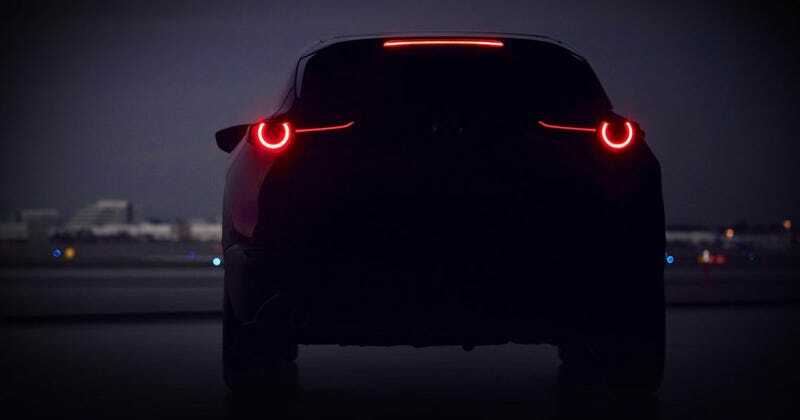 Mazda has teased an all-new crossover for the upcoming 2019 Geneva Motor Show, which will be built on the same new Skyactiv platform as the 2019 Mazda 3 and feature the new “Holy Grail” Skyactiv-X engine. Well, that didn’t do anything. Dammit. They’re getting good at this. Anyway, Mazda announced this new crossover, if that’s what you’d like to call it, will be built on the same new Skyactiv platform as the new Mazda 3, which we learned was built from scratch to iron out unwanted vibrations and noise for a better cabin experience. It’s also expected that Mazda will sell it in Europe at least, possibly sized between the current CX-3 and CX-5 crossovers, as Car Magazine suggests, but there’s no word yet on whether or not it’ll hit U.S. dealers. Anything beyond that is just what we see in this little teaser. Mazda has sold a low wagon-y compact crossover called the CX-4 in other markets, namely China, since 2016, so this could adopt that name if it slots into a similar position in the lineup. Or it could end up actually being the new CX-3. We’re not exactly sure yet. For everything else, we’ll have to wait until the Geneva Motor Show kicks off on March 5 and 6.